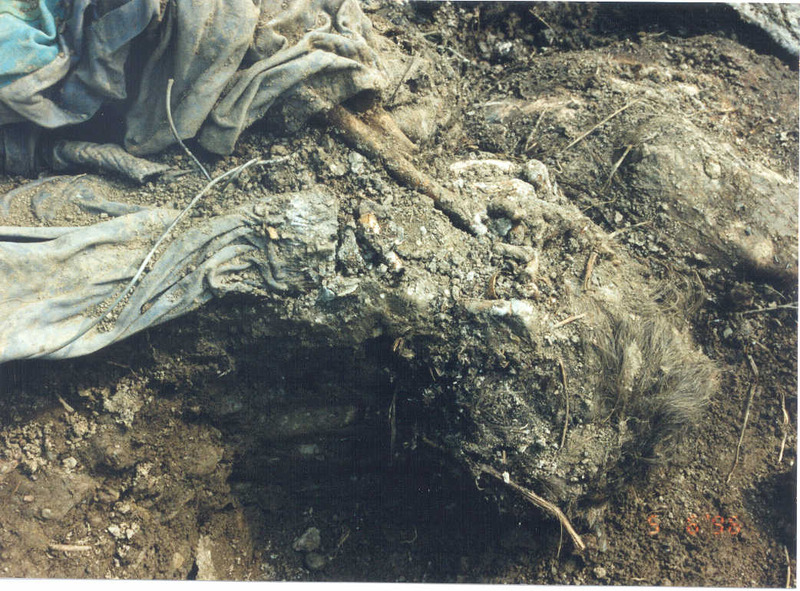 Bosnian Genocide: Bosniak civilians in Nova Kasaba mass grave. Close-up of hands tied in wire and wedding ring. Victims of the 1995 Srebrenica massacre. Exhibit P35, Karadzic trial. Photo courtesy of the International Criminal Tribunal (ICTY). 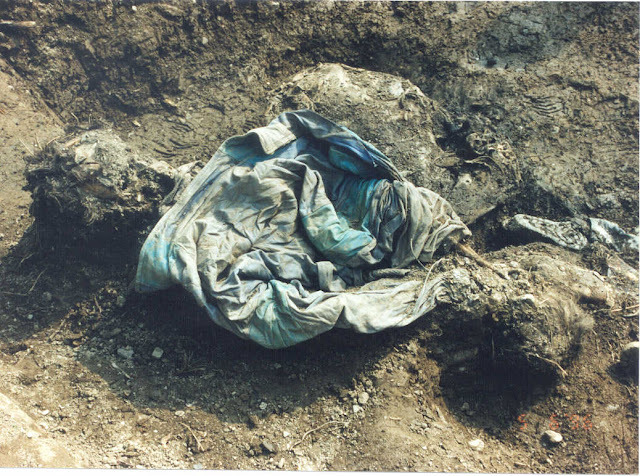 Bosnian Genocide: Bosniak civilians in Nova Kasaba mass grave in eastern Bosnia. 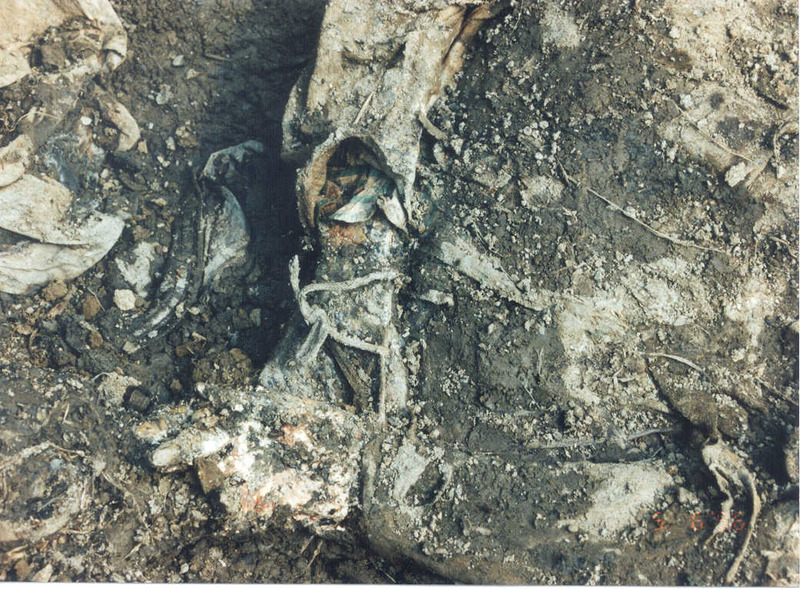 Body in civilian clothes, hands tied behind back with wire. Victims of the 1995 Srebrenica massacre. Exhibit P34. Karadzic trial. 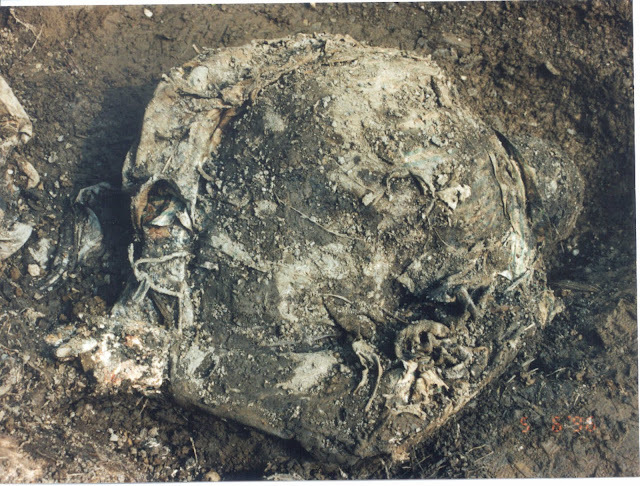 Photo courtesy of the International Criminal Tribunal (ICTY). 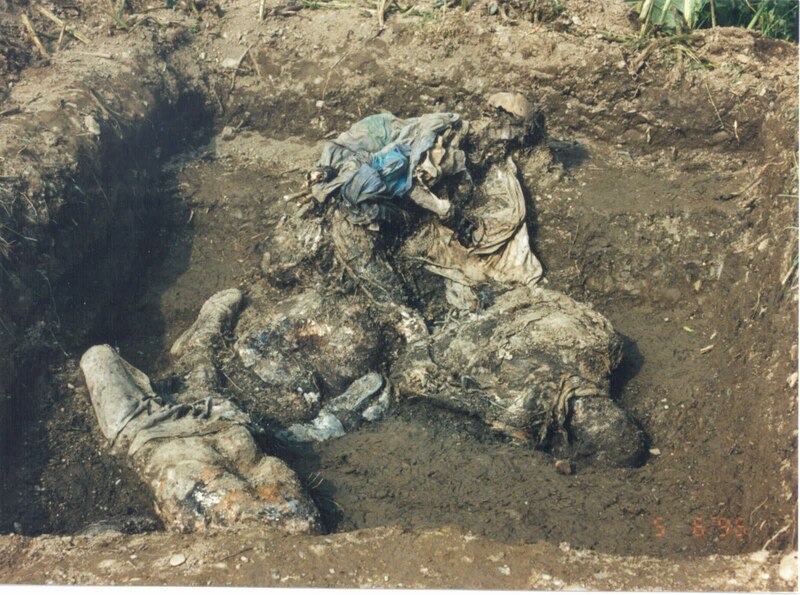 Bosnian Genocide: Bosniak civilians, hands tied, in Nova Kasaba mass grave. Victims of the 1995 Srebrenica massacre. Exhibit P33. Karadzic trial. 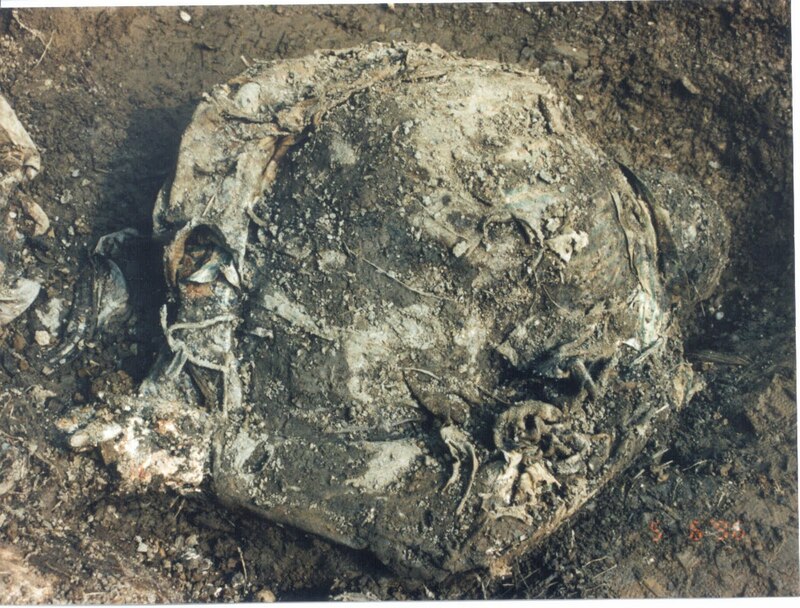 Photo courtesy of the International Criminal Tribunal (ICTY). Bosnian Genocide: Body of Bosniak civilian with hands tied in Nova Kasaba mass grave. Victims of the 1995 Srebrenica massacre. Exhibit: P32. Karadzic trial. Photo courtesy of the International Criminal Tribunal (ICTY). Bosnian Genocide: Close-up body of a Bosniak civilian in Nova Kasaba mass grave. 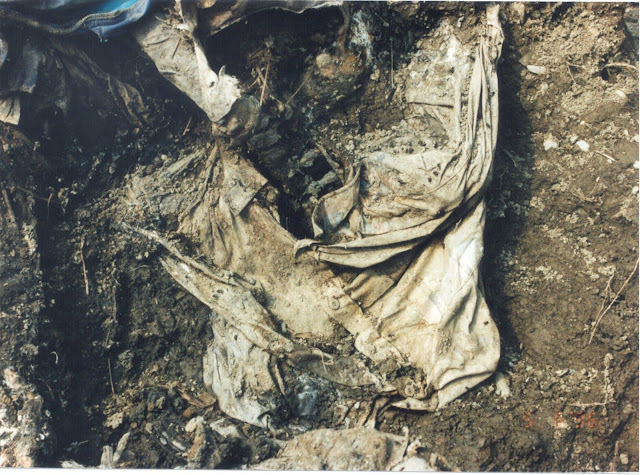 Victims of the 1995 Srebrenica massacre. Exhibit P31. Photo courtesy of the International Criminal Tribunal (ICTY).